Ava Olsen was in first grade at Townville Elementary during a 2016 school shooting, she wrote. She told the president that she lost the 6-year-old boy she wanted to marry. President Trump: "So sorry to hear of the loss of your friend, Jacob"
Fifteen months earlier, on a fall afternoon in tiny Townville, South Carolina, Ava had just walked outside her school for recess when, police say, a 14-year-old drove up to the playground in a Dodge Ram, jumped out of the pickup and pointed a gun. The accused teenager - who is expected to learn this month whether he'll be tried as an adult - continued firing for just 12 seconds before his pistol jammed. By then, three people at Townville Elementary School had been shot. 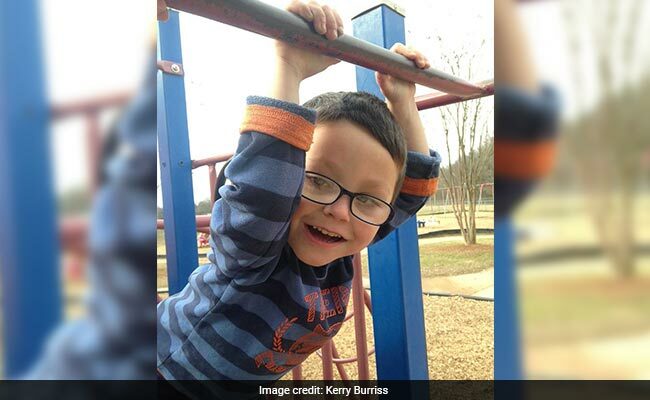 Jacob Hall was fatally wounded on the playground at Townville Elementary on Sept. 28, 2016. 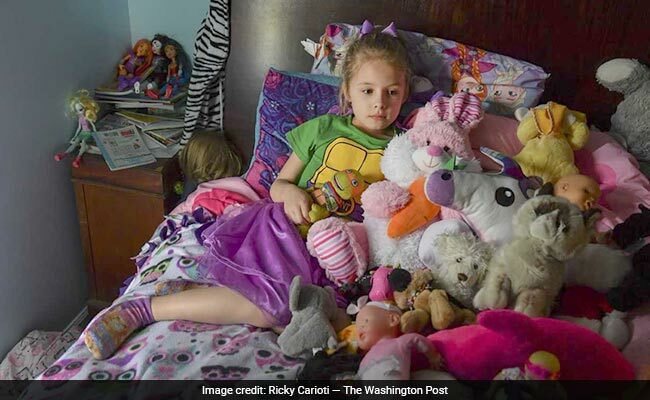 Ava was so overwhelmed by the loss, and the terror of what she'd witnessed, that a doctor later diagnosed the girl with post-traumatic stress disorder and recommended that she be home-schooled. In the months that followed, the torment - described in a Washington Post story about the shooting - often consumed her. She yanked out her eyelashes and used stickers to cover up scary words in "Little House on the Prairie": gun, fire, blood, kill. 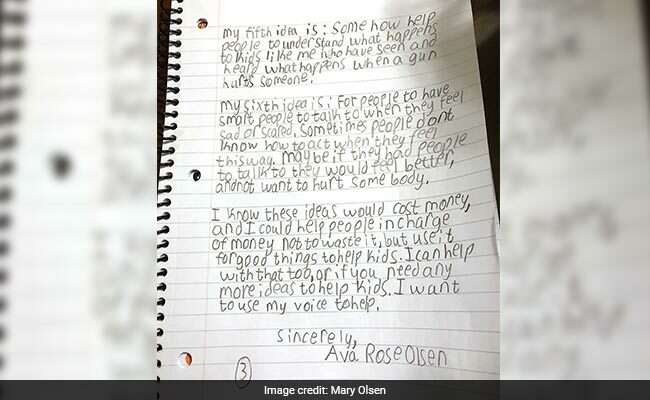 Ava Olsen had sent a letter to President Trump in August 2017 addressing gun violence and attacks on schools. The shooter is never far from Ava's mind. She remembers him as a towering and terrifying figure, and he often appears in her nightmares. She sometimes repeats what she heard him say on the playground - "I hate my life" - and once, after Ava accidentally pushed her brother and he hit his head on a stone well, she blurted: "I'm just like Jesse."